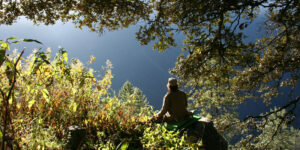 Ecotourism as a concept saw tremendous growth in the Himalayas given their unique natural heritage, age old cultures, amazing wildlife and potential for adventure. However paralleling the growth of ecotourism was also the concept of green washing of regular internet based adventure agencies usually set up in the period between 2010-2015 fuelled more by the power of the internet than love for local environment, heritage, aesthetics, culture or well- being of Himalayan folkways! Green washing refers to disinformation disseminated by an organization (majorly using internet as a tool) so as to present an environmentally responsible public image usually by superficially getting involved in nature protection campaigns, donating to charity or tying up to local tourism NGO’s or Cooperatives showing themselves as ultimate Messiahs of Ecotourism. Since 2004, ecotourism grew “globally three times faster than the tourism industry as a whole” and it is this significant growth that has created competition between traditional tourism and ecotourism outfits. Governments, Established travel Companies particularly in big cities operating in the Himalayas and new business ventures started green washing themselves highlighting themselves as “green” or “eco” more on social media and internet then on actual ground! In a time when anyone can have a professional-looking website and can employ experts to promote unfounded ‘green’ messages in convincing ways, authentic ecotourism initiatives in the Himalayas are facing a grave threat. Typical examples of green-washing are seen in the Himalayas especially in the name of tourism cooperatives. Often individuals usually foreigners or non locals have been seen trying to green wash themselves or their businesses by setting fake coops in order to give an edge to their regular adventure businesses. It’s becomes easy for them to market as Cooperative movement in tourism as cooperatives is a well established concept in the west. These so called Cooperatives can be seen in the case of Bageshwar, Ranikhet, and Pithoragarh in Uttarakhand which did not have any existence on ground as found out by the author but are omnipresent on the internet! Even if there are cases of any successful cooperative movement in the Himalayas in the field of ecotourism they have been kept shrouded in mystery instead of making such models replicable & popular! Due to this blatant green washing the credibility of the ecotourism industry is under grave threat. Tourists are becoming skeptical about ecotourism especially in the Himalayas where the raft of ‘eco’ terms bantered about by the newly found adventure companies are making them loose confidence in the whole concept as a whole. The same goes for the local Himalayan communities and youth which are soon realizing the true motives of these outsiders and foreigners trying to teach them about ecotourism where as the fact as that it has to be spearheaded by locals themselves! However there are certain rays of hopes in the Himalayas which are indeed carving a green living for themselves through authentic ecotourism. Confined to their villages without employment, villagers dwelling in the vicinity of protected forest reserves would either resort to destroying the natural reserves or seek jobs elsewhere. Fortunately, all that is a thing of the past with ecotourism coming to their rescue as discovered by the author through his experiences of working first hand in the field of ecotourism especially in the Indian Himalayas in Ladakh, Uttarakhand, Sikkim, Nepal and Himachal! Some bright examples of community led ecotourism can be seen in Hemis National Park -Ladakh(with the Snow leopard Insurance scheme and the homestay program), Spiti-Pin Valley National Park & Kibber Wildlife Sanctuary ( snow leopard tourism and homestay program aided by local NGO ), Great Himalayan National Park- A UN world heritage site (led by Sunshine Himalayan Adventures, a pioneering responsible tourism company which introduced the concept of ecotourism in Himachal Pradesh in early 2000 led by locals of Kullu Valley), Community Based Tourism Initiative of IDIPT (Himachal Tourism) which has been funded by the Asian Development Bank especially in Pong Dam and various unknown destinations of the entire state) , the Nanda Devi Biosphere Reserve (with the Himalayan Sheppard’s initiative), in Kanchenjunga National Park, (Sikkim) another world heritage site through NGO’s like WWF, ECOSS & KCC and the Annapurna National Park in Nepal where locals have set an excellent example of preserving the flora and fauna for realizing the long term benefits of responsible community based ecotourism. Since Ecotourism is now fast becoming a tool to counter poverty, create employment, reduce illiteracy and catapult responsible alternative income generation, the Government has become very keen to develop such initiatives especially by the Forest & Wildlife Department of Himalayan states in India. However such interventions often face the prime dilemma of a typical government scheme- Less emphasis on planning and more on implementation & resource intensive construction. Based on experiences with working with various Governments in Sikkim, Uttarakhand & Himachal Pradesh, the author has few recommendations especially for the authorities in these pristine Himalayan states. Activities of money intensive hardware (building of infrastructure like log huts, camp sites, trails nature parks or any other physical infrastructure should start at least one year after the software portion (training, carrying capacity analysis, value addition and marketing) has been done so that the need is felt from community & practical experience on ground instead of the existing top down approach. Homestays are critical but community managed campsites & ancillary accommodation units would also be ideal at some project sites. Having Tourist Reception Centers or information centers do not bring money but a small facility with rooms/ tents serving local food does. The art of building in stone, mud and wood is ideal rather than introducing concrete structures or spoiling vernacular architecture which only specialized architects would know. Unearth what exists should be the mantra! Enthusiasm, interest & ownership by the community as well as the top government Management (convergence) & the district administration is a must in the driving of the project along with the community based organizations (CBO’s) who should demonstrate its full commitment especially to the community. Issue of self Sustenance of the project beyond project period & NGO involvement is critical. Every Site should have an elaborate operations and maintenance plan right at its inception state. Also a sustainability & exit plan is a must especially for sites having PPP mode. Capacity Building Process of Selection of the CBO or the implementing agency is critical and must be one after great research. An intensive orientation program on participatory planning leading to sustainability with an exposure to gender issues is a must for everybody to come on a common ground. The ecotourism project is not about how many activities were undertaken, skill programs delivered but about participation, process and the output especially achieving equity. Emphasis should also be laid on what can go wrong in tourism especially with carrying capacity both environmentally & culturally. CDMO (Community Destination Management Organizations promoting business model which is sustainable should be the mantra. The role of women in ecotourism should never be undermined and should form an integral part of any community based institution. Authentic tourism based cooperatives by locals can be one solution to harness the fruits of ecotourism in a sustainable way! A part of the revenues beyond a ceiling must go to the general welfare of the villagers for even those who are not participating directly in the tourism process. Individual entrepreneurs/ Self Help Groups should have their own business plan which require handholding & should be linked to the financial institutions (convergence) to sustain the project. Similarly the capacities of the CBO’s should be developed not only to handle tourists but to handle the district authorities, outside tourist service providers etc. Its important the CBO’s have seed money (working capital) of their own as its money from the poor and is big according to them leading to greater interest in the project. Hence the voice will come from within and act as a vigilant body. Marketing: Have site and product specific marketing tools. All villages/ clusters have to be integrated in a circuit to become a part of the network to have an economy of scale & look into wider things like marketing. Word of Mouth Marketing is the most important. Certification and Standardization of services should also be an important part of the project and has to be monitored by the Government as well as the civil society at large! 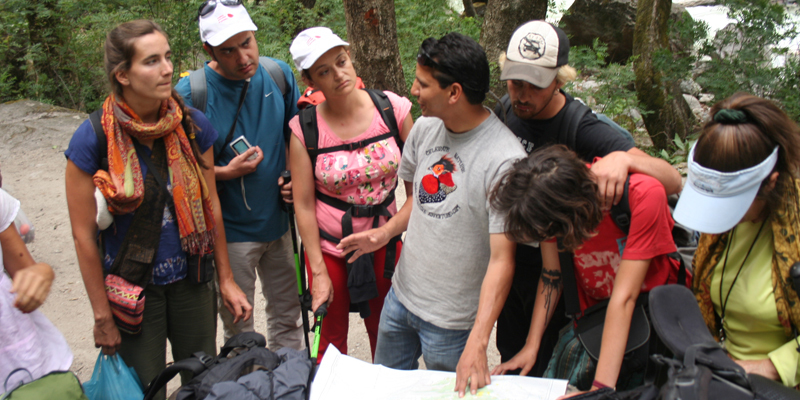 To sum it all its important to empower local communities to spearhead Himalayan Ecotourism! This requires long term planning and continuous inputs on building community based organizations, training them and a niche marketing approach which stresses on quality tourists rather than volume! For Himalayan states in India Community Based Responsible Ecotourism can be a major asset harnessing the untapped potential of its flora, fauna and cultural aesthetics. However it requires the Forest and the Tourism department to sit on a single platform to chalk out long term sustainable strategies. Besides giving a voice to the poor and a choice of having ecotourism as an alternative income generation activity for villagers, we have a moral commitment to speak out for the plants and animals who cannot voice themselves in a world facing mass extinction of species. Ankit Sood has been an Associate Professor for Tourism for 12 years! He has worked in the position of National Ecotourism Expert in JICA aided Sikkim Biodiversity Project (Govt. of Sikkim) & Ecotourism Planner & Forest Conservation Specialist with ADB funded IDIPT project with the Tourism Department of Himachal & Uttarakhand ! 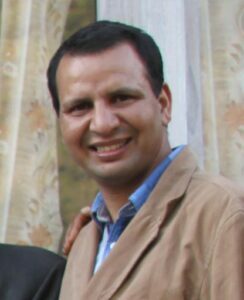 He is also the founder member of Sunshine Himalayan Adventures a pioneering company practicing sustainable tourism since 1996!